Following on her MA dissertation of 2016 which explored orbs, those mostly circular, luminous patches of light sometimes or perhaps frequently turning up in photographs and video, Mara is now embarking on further research. Her MA dissertation drew two divergent viewpoints on the subject: The first was based in materiality and took a physical viewpoint on the out-of-focus dust and water particles or insects to name a few natural causes of obs. Secondly, she explored the paranormal viewpoint, considering ghost lights for example. These two positions lead to a third, which was the emergence of a spiritual viewpoint. This last, occurred after Mara interviewed an international group of orb-enthusiasts with her own stance gradually shifting from an outsider's to an insider's approach. 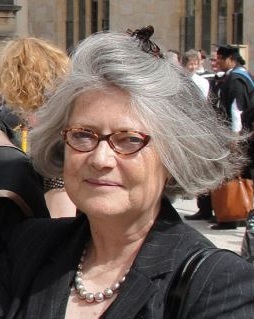 Her dissertation proposed the introduction of a twofold spiritual viewpoint to complement this enduring dichotomy of physical versus paranormal with the aim to open up other perspectives to orbs; notably adopting the possibility of participating consciousness as observed from the field of consciousness studies. This latter viewpoint will be focal point of her PhD, which she has just embarked on. 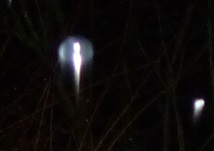 Its preliminary title is, 'Orbs in the Skyscape: An Exploration of Spiritual Experiences with Anomalous Light Phenomena'. Based on her previous research the spiritual meaning given to the phenomenon will be investigated in depth with the application of mainstream scientific methodologies in qualitative research. 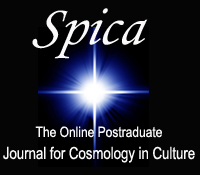 The study's objective is to gain a greater understanding of the mechanisms of perception on orbs which would aid in explaining why people accredit spiritual meaning to experiences that are regarded as anomalous. 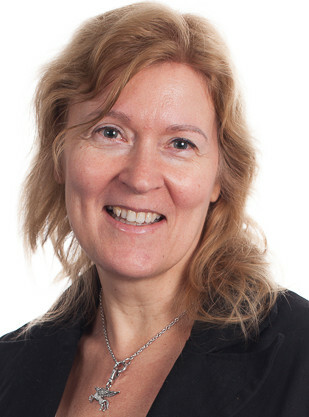 As such, professor Bettina Schmidt, director of the Alister Hardy Religious Experience Research Centre and senior lecturer of UWTSD will be first supervisor, with associate professor Nick Campion as the second supervisor. Furthermore, given the great variety in the way orbs manifest their qualities of shape, size and colour, Mara's research will also explore the wider perspective of 'light' with regard to ideas such as spirits of nature, light beings and elements. Digital photography will be used to explore natural phenomenon within the skyscape. Although previous research has shown that not all photographers consistently find orbs in their images, given orbs and photography are intrinsically bound, the veridicality of photography in general will become a focus of Mara's PhD thesis. 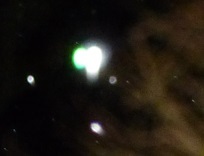 Figures 1-4: Several examples of luminous orbital images, all photographed on 2 February 2015, in the back garden with a Panasonic DSC-TZ25. 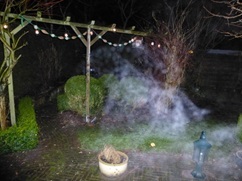 Note the misty animal like figure in the fourth picture which seems to consists of orbs. 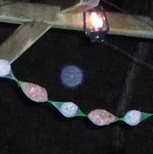 The third picture shows a more 'common' form of orb in bluish/white. Pictures are cropped only, no further alterations are made. All photographs taken by Mara Steenhuisen.